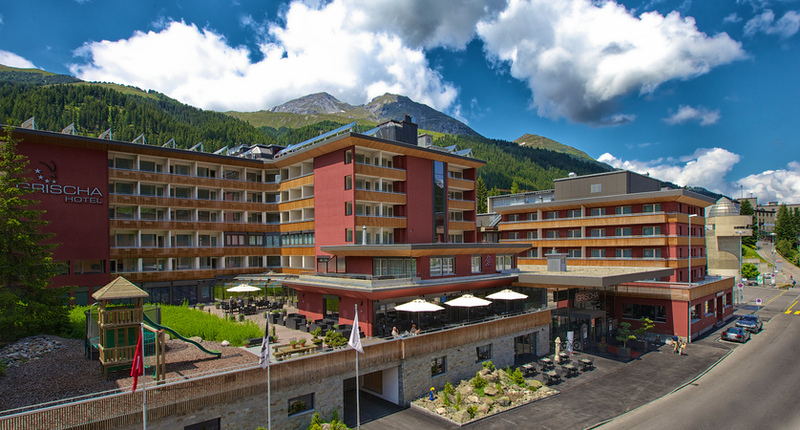 Enjoying an upgraded status to a 5 star hotel and receiving great feedback in all areas, the Seehof has recently refurbished public and wellness areas and enjoys a great location in the centre of Davos Dorf. 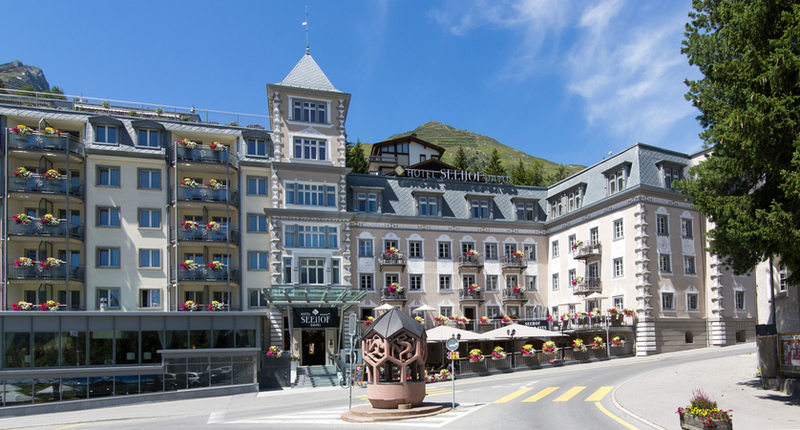 Beautifully-furnished throughout, the Hotel Grischa enjoys an excellent location in the centre of Davos Platz with good access to the walking area and has a luxurious ‘boutique’ feel throughout. Free entrance to Alpine Garden at Schatzalp where visitors will find over 5,000 species of plant from various mountain ranges around the world. There are approx. 700km of marked walking trails in the Davos/ Klosters region, offering a fabulous range of walks to suit all abilities and tastes. The vast walking area which covers both sides of the valley is accessed easily by cable-car or funicular from the resort centres. Easy Take the mountain railway from Davos to Schatzalp to visit the Alpine botanical garden. There are gentle walks at the teop, great views and you can choose to walk back down through the forest. Or take the pleasant stroll along the Landwasser rier from Davos Platz to pretty Frauenkirch. Alternatively, walk the Höhe Promenade - 1 hour from Davos Dorf to Davos Platz or vice versa. Flat tarmac path on a higher level above the promenade giving you a good overview of Davos and its surroundings. Take hazelnuts to feed the squirrels and birds. Moderate From Klosters, head up on the Madrisa gondola and up to Mässplatte for a beautiful view of the Prattigau valley. Alternatively, hike the Rinerhorn to Monstein route – 3 ¼ hours. A beautiful walk with many opportunities to spot some wildlife (walk no.82). Look up to the NüllischGrat ridge for chamois before descending to the very Swiss village of Monstein. Stop off at the Monstein brewery and sample their homemade beer, bread, cheese, meat and selection of drinks. Return to Glaris (Rinerhorn) by Post bus (no. 10) and then back to Davos by the no. 1 bus or train. Slightly challenging Take the Parsenn lift from Davos Dorf and walk across the peaks following the well-recommended ‘Panoramaweg’ path, descending later via the Gotschna cable-car into Klosters. For more experienced hikers, catch the postbus to Tschuggen and walk up to the protected area of Pischa, where you can cross the ridge at Hüreli and then head down to Lake Davos. On the way, you will see the only place where you can see Davos and neighbouring Klosters at the same time. Multi-Centres | You can combine your stay in Davos with any one or more resort (s) of your choice in Switzerland. We recommend Zermatt or Lake Lucerne. Flexible durations available. Transfers between resorts via the Swiss transport network are included. 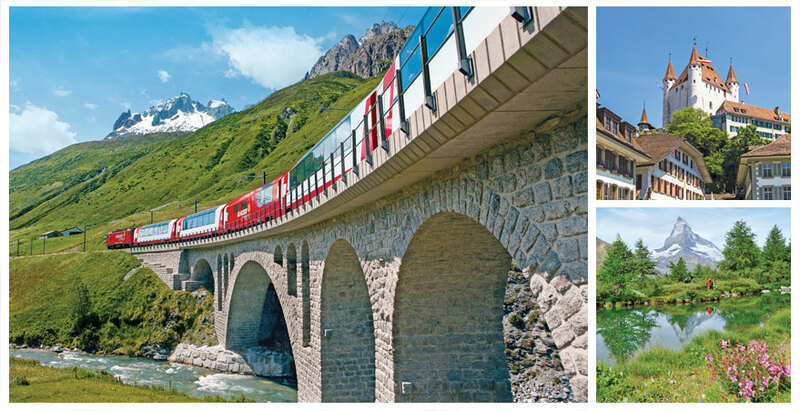 Or try our recommended independent rail holiday that also features Davos: Glacier Express.